Since I was a Russian major in college, I decided to take an Eastern European angle on this week’s dish. I borrowed a recipe for sauerkraut pierogies from my great aunt Susan – her Polish heritage makes them extra delicious. She makes these as an appetizer every Christmas and I can never stop eating them… So I decided what better way to ring in 2011 but to have another serving! Mix the sour cream and eggs together in a bowl, add the salt and flour (start off with less and add more as needed). Knead until smooth – it works well to start the kneading process in the bowl. Allow the dough to rest for at least 30 minutes. Take this time to make the filling. Rinse and drain the sauerkraut. Chop mushrooms and onions. 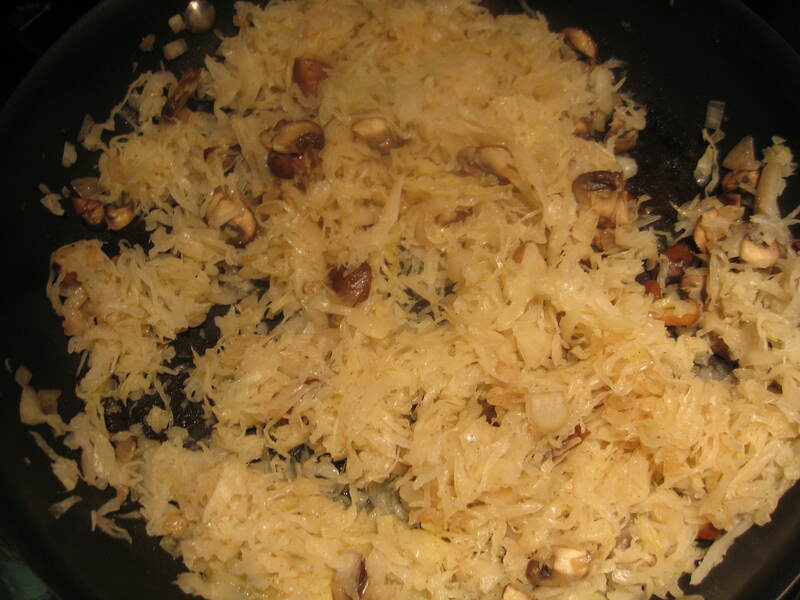 Sauté onions in butter, add mushrooms and then sauerkraut. Sprinkle in some flour (for cohesion) and salt and pepper to taste. Divide the dough in half and roll out (use plenty of flour so it doesn’t stick). Use a glass or cookie cutter that is about 4” in diameter to cut out circles in the dough. Re-roll out the scraps and continue until all dough is used. Lightly brush each circle with egg wash, add about a teaspoon of the sauerkraut filling, fold over and pinch to seal. Bring a large pot of salted water to a boil, add pierogies and cook for about 5 minutes. Drain and sauté in butter and onions. Serve these heavenly morsels with lots of sour cream! 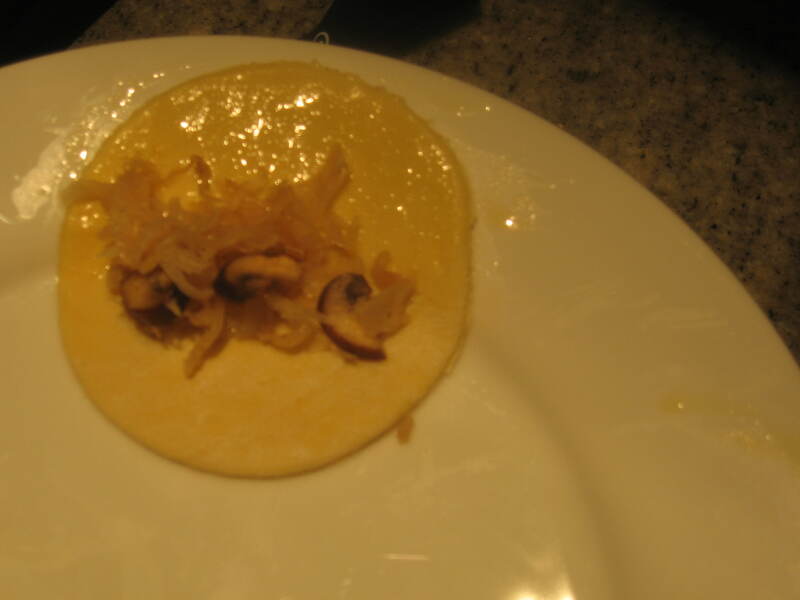 This entry was posted in Sauerkraut and tagged dough, mushrooms, onions, pierogi, Poland, sauerkraut, sour cream. Bookmark the permalink. Hillary, these look delicious! I’ll have to try them.